Oh, I am by no means above wanting things. Just check my Pinterest boards. But I do not attach sentimental value to things anymore. I don’t think I’m cold about it. What has turned me apathetic to my belongings has been all the moving Fiancé and I have done in the past few years. When you have to pack all your stuff, you realize how much you don’t need. And how much you hate to pack it. Fiancé and I live the simple life when it comes to our stuff now. If we’re not using it, we’re donating it. He who dies with the most toys still dies, right? Stuff is just stuff! With one exception. I do have a material possession that I am attached to. My “one thing.” Everything else precious to me is intangible – in memories and thoughts – except my one thing. Mom and I made Cootie when I was young enough to still go crazy over stuffed animals, but not too young enough to help. Mom found a pattern, sewed him together, and I stuffed him and helped sew him up. 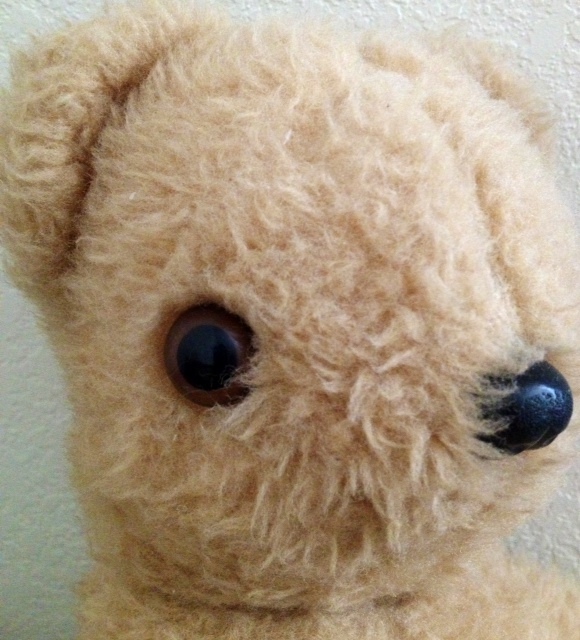 His last seam is all too easily noticed, reflecting my talents as a seamstress/bear maker. His eyes are slightly misaligned. But, he can look happy, tired, angry and confused. 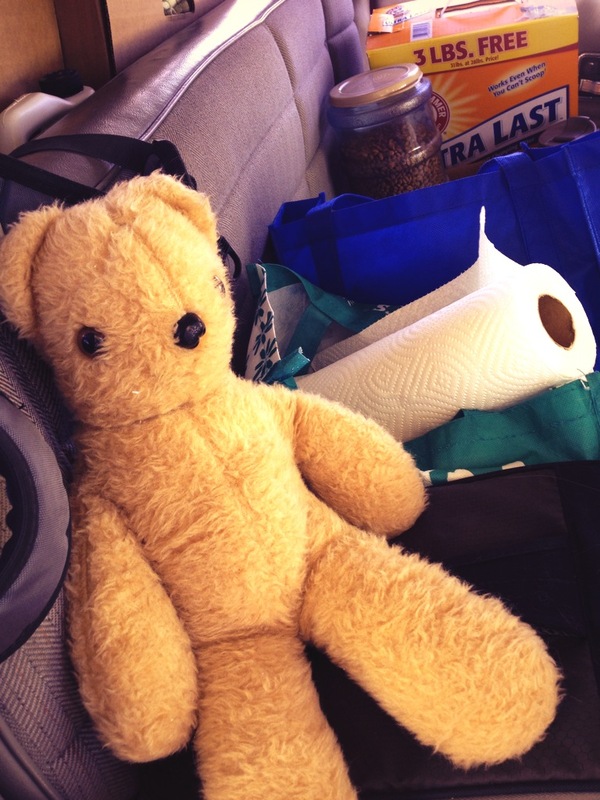 As I near 30 years old, Cootie still goes with me on all major treks in life. He moved with me out of my parents home, out of state, out of that state, and all the way back again. 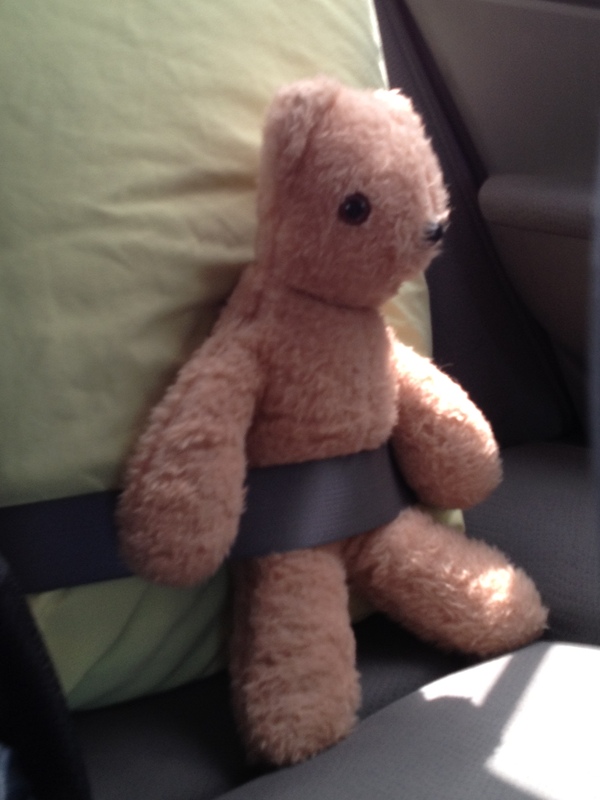 He gets seat belted, because my “one thing” has to be remain safe. He takes care of me at night by keeping danger away. True story. Even though he is made of materials found in Walmart’s craft section, he is worth more than gold. He represents the bond between my mother and me. If I have a daughter, Cootie will be placed in her care, to make sure she is safe and watched over. Somehow, through his misaligned eyes, she will be watched by me and my mother. It gives me comfort to know that Cootie will be with her in the future. Think about it! Do you have one material possession that means more than the others? If so, comment below!